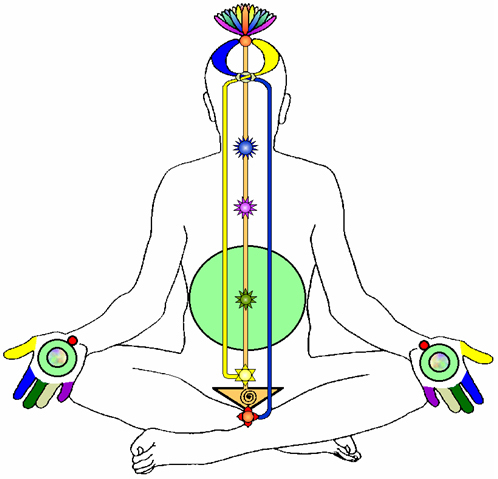 Self Realization is the awakening of the Kundalini through the central channel, piercing through the six chakras above the sacrum bone and emerging at the top of the head (fontanelle bone area) as a gentle “fountain” of coolness. The word fontanelle itself means “little fountain” which shows again the ancient knowledge about this phenomenon of Self Realization. Self Realization has always been the ultimate goal of all religions and spiritual traditions of the world, but was extremely difficult to attain in the past. It has now become a mass phenomenon achieved effortlessly through Sahaja Yoga, which is Shri Mataji’s invaluable gift to humanity. “Kundalini cures you, she improves you, she bestows all the blissful things upon you. She takes you away from the worries at the grosser level”, says Shri Mataji.